UPDATE: petite slimline velvet hangers are now available in beige and black! 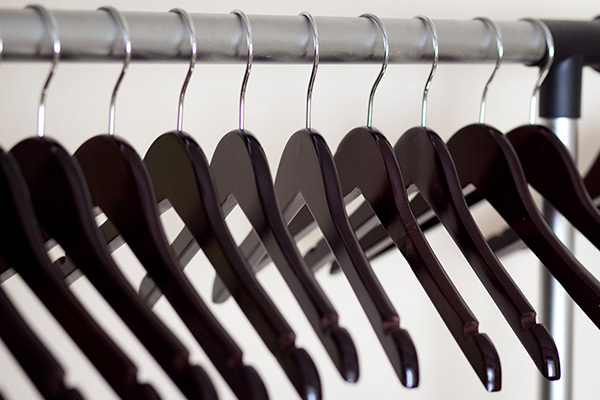 Hangers and closets go together like peanut butter and jelly, so since the topic of my blog revolves around my petite wardrobe, you can bet I’ve given some thought to petite hangers over the years. 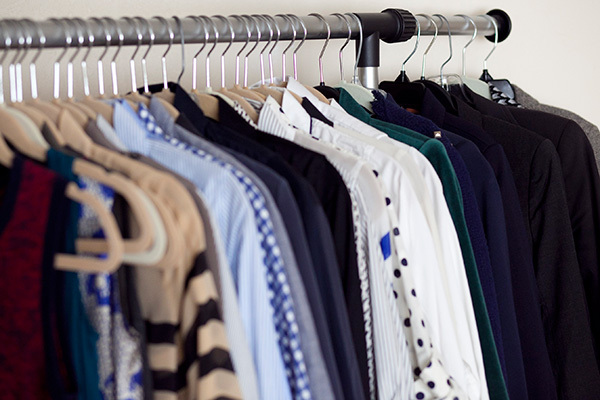 Hangers fulfill many functions…they keep your clothes off the floor, organized and neat, and if you’re like me, can turn your closet into your “happy place” by making everything look like your own personal boutique. 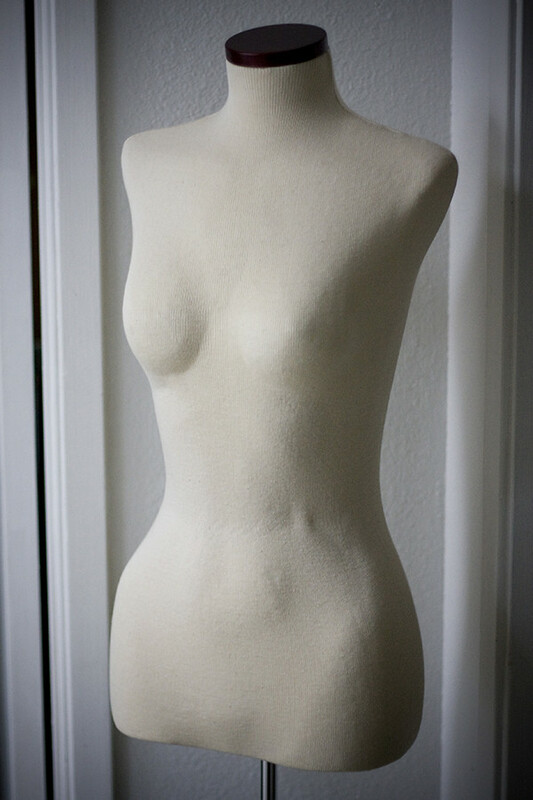 Hangers can help preserve the shape and fit of your garments…or…as I’ve been finding with my current hanger situation…can stretch or put lumps and bumps in your clothes if they aren’t the right size. A few years ago, I wanted a nice looking closet where all the hangers matched, so I did what most people do…I marched into Bed Bath & Beyond with a fist full of those coupon thingys and bought a big box of velvet flocked hangers. 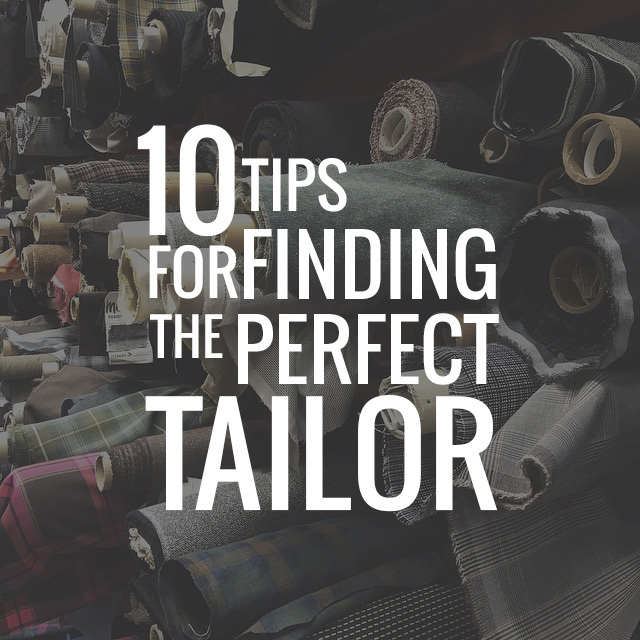 My closet looked amazingly better after that, but a few years later, I found myself struggling with them. I’ve noticed, especially with my blazers and silk blouses, these annoying bumps at the upper arm where the hanger is poking into the fabric. These bumps remain visible while wearing, and make me nervous about more delicate fabrics such as silk blouses which are prone to stretching. I’ve tried several different types of hangers to try and alleviate the problem, but the only solution appeared to be narrower hangers. The anxiety of stretched out upper arms on my silks and blazers finally moved me to do a search for narrow hangers. Mass market stores don’t sell anything beyond average and children’s sizes, so I looked to specialty retailers online. After a few days of searching, the company that intrigued me the most was Only Hangers (this exact same company is also called ClosetHangerFactory on Amazon). I first came upon the Petite Wooden Dress Hangers (each hanger type is also sold in sets of 50 & 100, FYI) and Petite Wooden Suit Hangers, both of which measure in at a much narrower 15.5″. I really liked how these petite hangers came in two colors, natural (suit hanger version) and walnut, which I didn’t see very many other retailers offer. 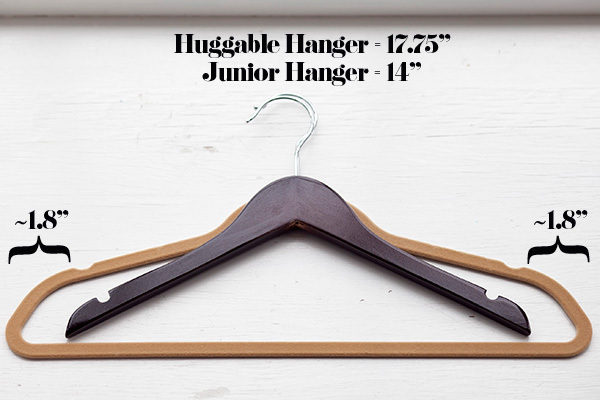 Then, after clicking around a little more and exploring the “children’s” options, I found the Junior Hangers (suit hanger version) which measure in at an even narrower 14″…once again offered in two colors, natural and walnut. 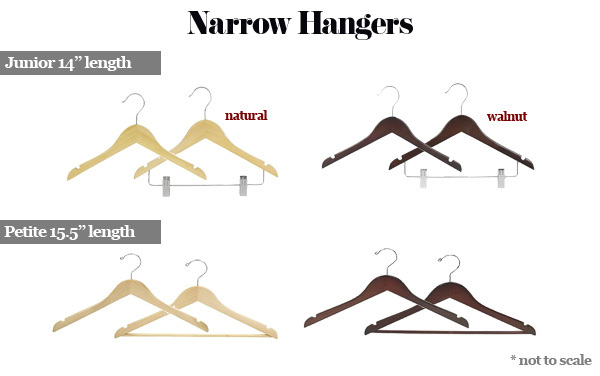 I really love that Only Hangers offers two narrow hanger sizes, in two colors and two styles each…and at a better price than the other competitors I looked at. I’ll also mention here that Only Hangers is a reliable brand, sold at mass market chains such as Linens and Things, which helped ease any hesitations. I contacted Only Hangers and they were very generous to send me some hangers to play with. My shirts and blazers measure between 13″ and 14″ in the shoulder, so the junior 14″ hanger was a better fit for my wardrobe. Here’s a comparison of the much better fitting 14″ hanger (I chose the walnut color) to the velvet flocked hangers I had been using for several years. There is almost a 2″ difference at the ends of the two hanger types. No more poking and stretching in the upper arm! 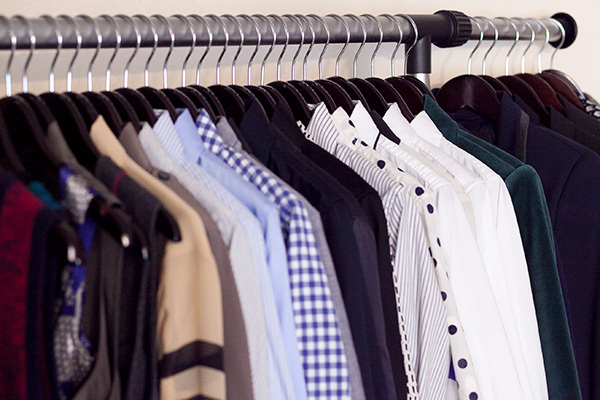 My blazers and shirts also rest smoother and with less bulk on these narrower hangers. 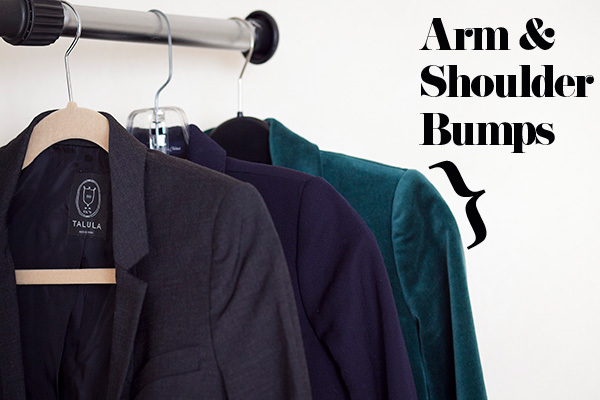 I now notice that on the wider velvet flocked hangers, blazers and shirts looked like they were “busting off” the hanger. The next issue to tackle is the little problem of silky blouses and tanks falling off the smooth surface of wooden hangers. For this, Only Hangers were kind enough to send me some velvet flocked hanger Garment Grips (super similar in foam). 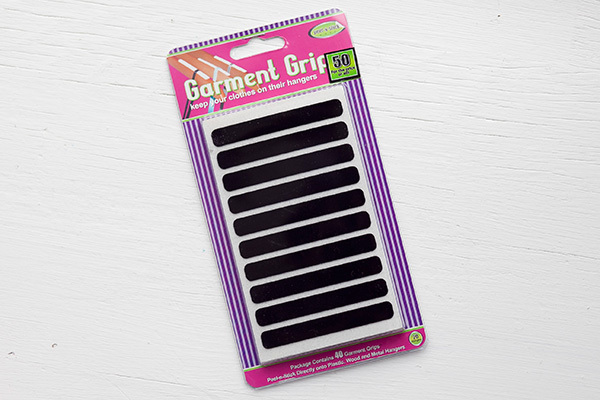 These are little stickers that provide friction to keep garments from slipping off wooden hangers. These worked perfectly at keeping my silks, tanks and dresses securely on the hanger. Blazers and most tops did not need any Garment Grips, so I only put these on the hangers I thought needed them. I happily spent the better part of an afternoon tossing all my velvet flocked hangers across the room, and gently placing my favorite garments on their new wooden homes. The result is very clean and nice looking, as well as I’m now worry-free about the state of my silks and blazers. I’m really happy with the way my clothes fit and look on these properly sized hangers, and can’t imagine going back to any other size. My next step will be to match these beautiful top hangers with some skirt and pant hangers in the same style and walnut color to complete the look of the closet. I know some closets are tight on space, which makes wooden hangers a less viable option than space-saving slimline hangers. 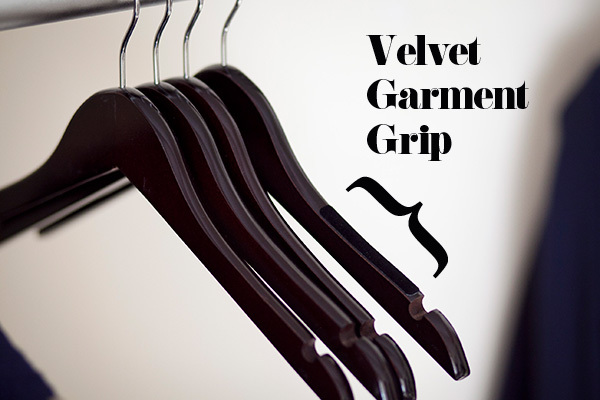 Well, good news because 14.5″ width petite size slimline velvet hangers are now available in beige and black. PS…Only Hangers also has wide width wood hangers for those who find average size hangers too small (instead of stretching at the upper arm, you’ll see stretching above the shoulder). Ever since I bought a new house, I’ve been wanting to start over with my closet and make it look boutique-like and I hardly ever see any nice hangers out there and especially small ones (non-children size). I noticed that a lot of my jackets have that annoying bump at the sleeves too…and I have to smooth them down with water every morning before wearing them…..I have never thought to look into different types of hangers (most of mine are these generic cheep plastic ones from walmart). I’m definitely am going to look into ordering these hangers! Thanks so much for sharing your great find! This is one of the best giveaways I have seen. Thanks Kelly and Only Hangers! The review is very detailed and comprehensive. I will certainly enter. My mind is blown! I complain about this EVERY laundry day. Never did I imagine there existed a hanger for us little people! Good one on you, thinking to search for a solution. All the larger people in my family never understand why I’m annoyed. Especially when I get bumps, or have to stretch out a crewneck to fit it on a hanger. I’m that way about closets too! The boyfriend is a lefty and it drives me batty how his clothes face the “wrong” way…lol. Great giveaway, but, I’m just confused to how you’re going to email the winner if we didn’t need to submit our emails on any of the entries? Good question KD! Rafflecopter (the widget I’m using to collect giveaway entries) collects your name and email address when you sign up for an account with them. If you log into Rafflecopter and enter the giveaway, Rafflecopter gives me that information automatically. Love this! I have been noticing the same thing in my closet. Thanks for the giveaway!! This post is so timely, I’m in the middle of going through my hangers! FYI I bought 14″ hangers at a store which sells supplies to clothing retailers so that’s another way to find them (the store I went to only had plastic 14″ hangers though). Amazon also has a chrome 14″ hanger (they list it as a lingerie hanger) and I’ve seen small chrome hangers listed at a retailer supply store. Thanks for the info Tess! For me the Escada Company Store hangers that I always received at the Outlets work like a charm. Especially for the pants and skirts. They’re the best. If the bottom hangers have ‘fingers’ they take up way too much space and often fingers break off in the end. Escada also provided white and black ones, coordinating with the garment it needs to hang… You are so right about those bumps and they can permanently stretch a garment. I would love to win these hangers. I am just starting to redo my closet and noticed those shoulder bumps. These would be amazing. Ridiculously excited about this giveaway and possible coupon code. I’ve been complaining about shoulder bumps for years! I want these hangers ! I never realized that anyone made petite ones. These hangers look great! I’m always worried about long hangers stretching out the shoulders and leaving those awful bumps in my clothes. Thanks for bringing them to my attention and for the awesome giveaway! nice! had no idea these existed! This is so great! I have always wondered about this, but never seen petite hangers before! And yes, a pretty closet makes a world of difference! My closet only holds about 20 hangers so I might as well let someone with a more generously-sized closet win these. I gotta go home and measure the width I need! Love the idea of velvet stickers on the tops of wooden hangers too. What do you think of those “pillowed” hangers that are straight across? And I never knew silk might stretch. Golly I have to go home and check that hanger stat! Hi Lisa! I was never a fan of those big pillowed straight hangers. They seem to take up so much space! I think I had one once that I put a delicate item on, and I ended up getting rid of it because it didn’t really prove it’s worth to me. Plus they’re usually silky, so clothes slide off easily. I bet a closet full of them would be very boudoir-chic though! Oh no! What if we jumped the gun and ordered the hangers before the 20% off code? Do you think Only Hangers would apply the discount if we call in with our order number? Arg! Yes, give them a call tomorrow and see if they’ll apply the discount. If not, you can ask to cancel your order, and then re-order with the code. And if all else fails, shot me an email and I’ll see if I can do something on my end. So I just called them and was told that the coupon just came out so it wouldnt apply to my order, and since I put the order in jan 25 (yes, I jumped the gun that early) it was being shipped out today so it was too late for me to cancel and reorder. If I wanted to use the coupon I would have to return and reorder, which I think would negate the benefits of the coupon. Also, how do I find your email? Thanks! Email me at kelly(at)alterationsneeded.com. My email can be found under “about” and “contact” for future reference. Sent me the name you used to order and order number and I’ll see if I can work something out, but since the order was placed even 2 days before I posted about them, there’s a chance I can’t plead your case. I’ll give it my best shot! This is brilliant! I actually keep a lot of hangars from my dry cleaners because they are more narrow than the reg hangars I’ve got. This is a great idea! These would come in handy, I have so many clothes I could hang! Amazing find! I am in the midst of searching for new hangers during my closet re-do, so this couldn’t have come at a better time! Thanks, Kelly! I never thought such hangers existed! This is great since my closet is narrow in width and regular hangers “stick out” or are cramped. Now, time to do the measurements. I am a long-time reader of Alterations Needed, but I usually just read/lurk. However, I feel moved to comment because I ordered 100 14″ wooden hangers from OnlyHangers and I used the coupon code you provided. They arrived yesterday. It felt great, even better than I expected, to have matching, wooden hangers that fit my clothes instead of deforming them. I threw all my old hangers on floor as I systematically worked through my closet. I just wanted to say, thank you for doing the legwork on locating these and then sharing the information with your readers (and even providing a coupon code). Much appreciated. This is so helpful! I just bought junior hangers, the grips, some pants hangers and some of the slim line children’s hangers and the pads, that I hope will work for the tops I currently hang on too big padded hangers. I thank you for posting this for us “fun sized” ladies. When I was a child, my mom would add foam padding covered by cloth to old-fashioned wire hangers, using glue to attach. You can bend the ends of the hangers to conform to almost any shoulder size you need. 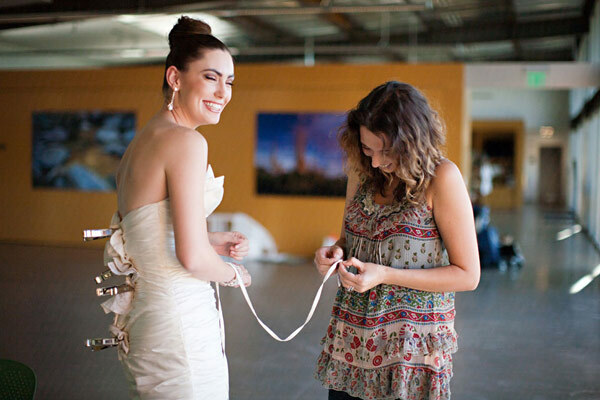 It’s not hard to do and it’s a cheaper option for those who can’t afford the beautiful wooden hangers. 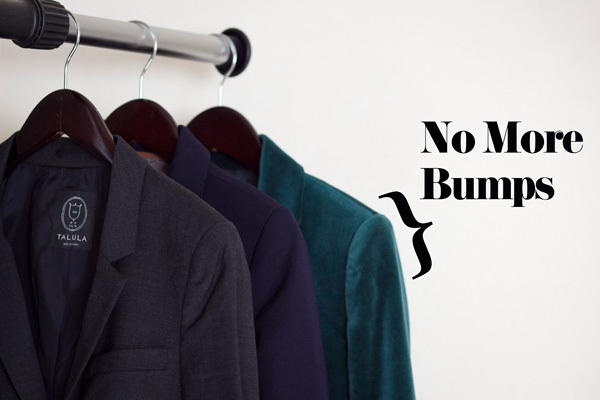 Recently I decided I was tired of the bumps in my jackets and blouses caused by adult-sized hangers. After a bit of research on the internet, I stumbled across the article on your website about petite hangers. Thanks to your advice, I purchased the petite hangers from Only Hangers and am very happy with the investment. My jacket and blouses no longer have bumps in the arms. Thank you! I didn’t realize you wrote this so long ago. I honestly stopped reading blogs, but yours is sooo incredibly informational. I find the content to be extremely helpful and necessary. like this one. I remembered you had talked about using children’s hangers before. I’m so glad to see you have linked “petite” ones and “junior” ones here for us. How come you didn’t use some velvet hangers for blouses and wooden for coats/jackets? Why did you switch it all to wooden? is it for uniformity or utility of one over the other? When I redo my closet, I am coming back to this post and buying these hangers!!!! This blog is seriously helping me live life! also, the coupon code expired I assume?